Bournemouth Borough Council: Pure Town Planning have recently secured planning permission for alterations and relocation of the extraction system for Genting Casino on Yelverton Road in the heart of the town centre. The Grade II listed commercial building, dating back to the late 19th century, is within the Old Christchurch Road Conservation Area and as such, Bournemouth Borough Council have been attempting to remove the existing flue system from the building’s front elevation for some time in order to improve the character and appearance of the Yelverton Road area. 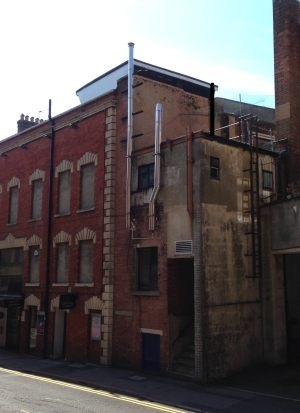 The existing two flue extraction system was considered to be visually obtrusive and detrimental to both the listed building and the conservation area and following the previous expired planning consent, the extraction flues removal was required by the LPA. A lengthy consultation period followed with Bournemouth Borough Council, who remained steadfast that the extraction and heating flues should be removed. Without the necessary extraction system, the existing commercial premises would have to close immediately and so the the client approached Pure Town Planning in order to secure the planning permission and deal with this issue and avoid the potential closure of the business at all costs. As the building itself is Grade II listed and is located within the Old Christchurch Road Conservation Area, significant measures were taken to ensure that the removal of the two existing flues and relocation of the extraction system to the roof could be attained without having a detrimental impact to the fabric of the building or visual impact to the Yelverton Road street scene. 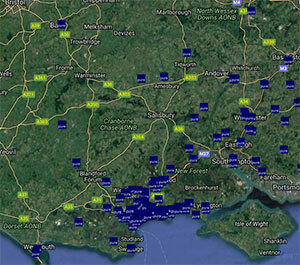 The agreed new flue scheme. As such, with the help of Anders Roberts Cheer Architects and following a lengthy consultation period with both planning and conservation officers, a suitable proposal and design was reached which satisfied all parties and both the planning application and listed building consent were subsequently approved. The LPA secured the removal of the existing extraction flues from the front elevation of the listed building and accepted that the relocated roof system would not have any negative impact on the listed building. 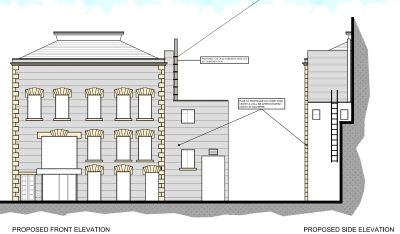 The resulting proposal will fundamentally improve the external fabric and appearance of the building and by association, the existing Yelverton Road street scene, and most importantly for the client, ensures the continued and uninterrupted operation of the commercial premises. If you own a commercial premises and are considering potential development involving changes of use, signage, advertisements, extraction systems or any other related works, then we would be happy to advise you on how best to proceed to maximise your commercial potential. We offer a confidential FREE half hour consultation so to discuss the potential development of your commercial premises, please call us on 01202 585524 or email info@puretownplanning.co.uk to find out how we may be able to help.